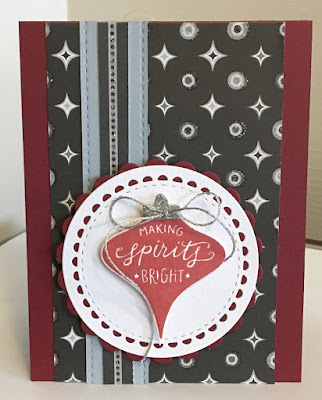 The Purple Muse: Making Spirits Bright! Brrrr! Trying to get used to the cold and snow again. So as I try and warm up I decided to make a card for a couple of challenges today. 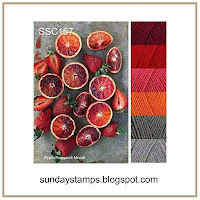 This one is for the Sunday Stamps color challenge and anything goes at the Merry Christmas Challenge. I used stamps, ink and dies from Reverse Confetti. The cardstock is from my stash. Cute card! Thanks for sharing at The Merry Christmas Challenge. Beautiful! I love the dark card with pop of red with the focal ornament. Thank you for joining Sunday Stamps this week.